Post-traumatic stress disorder can be debilitating, but with the right treatment, people with PTSD can lead healthy, fulfilling lives. If you suffer from post-traumatic stress disorder (PTSD), you’ve experienced a traumatic event—like a mass shooting, terrorism attack, or sexual assault—that made you believe your life or the lives of people you care about were in danger. The symptoms of PTSD range in severity, including flashbacks, intrusive thoughts, or nightmares that go away on their own to more intense feelings of numbness, estrangement, and irritability. 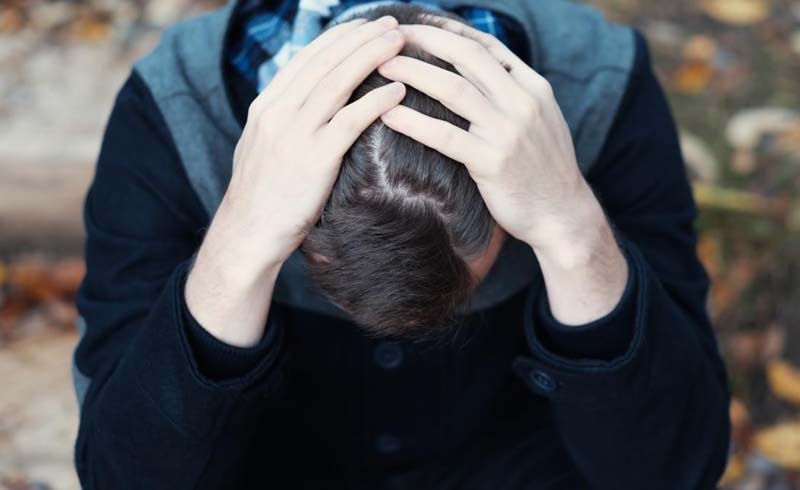 Symptoms may even be physical, psychiatrist Elspeth Cameron Ritchie, MD, chief of psychiatry at Medstar Washington Hospital Center, tells Health. These can include nausea or chronic pain. But with proper treatment, people with PTSD can lead healthy, fulfilling lives. There are a number of options, says Dr. Ritchie, a retired army colonel; a doctor or mental health professional can help you determine the best PTSD treatment for you. Other medications can help treat anxiety and agitation as well as nightmares and insomnia, which are also common symptoms of PTSD. Psychotherapy, often called talk therapy, is an effective way to help treat PTSD. There are different kinds of psychotherapy that can be beneficial for people with PTSD, explains Dr. Ritchie, including exposure therapy and cognitive behavioral therapy. “One of the more disabling symptoms is avoidance,” says Dr. Ritchie. In severe cases, avoidance may keep a person with PTSD from, say, leaving the house. The point of exposure therapy is to use repeated, detailed imagining of the trauma in a safe, controlled environment; this helps people gain control of fear and distress and find ways to cope, according to the APA. Therapists can even perform exposure therapy using virtual reality. Regulating the virtual scenario for people with PTSD can help them process their fear and better cope with their triggers, according to a 2017 paper published in the European Journal of Psychotraumatology. The technique has helped veterans reexperience war conditions in a controlled, therapeutic way, says Dr. Ritchie. In addition to meds and therapy, people with PTSD may also benefit from healthy habits like yoga and meditation. “Yoga and meditation can help decrease arousal, which is heightened in people with PTSD,” Dr. Ritchie says. A balanced diet is “good for everything,” she adds, and an exercise routine can help regulate adrenaline. Dr. Ritchie often recommends that her PTSD patients move regularly, whether it’s walking a dog, going for a jog, or working out at the gym. She also recommends getting involved in support groups or programs geared toward people with PTSD. For example, there are organizations for veterans to help train horses and dogs to become service animals where, says Dr. Ritchie, they learn to control their voice and breathing so they can in turn control the animals.